This Saturday 16th May, Liverpool captain Steven Gerrard will play his last football match at Anfield and fans are understandably sad to see him go. Luckily, we’ve got the perfect gift for any devastated LFC fan that might just get them through this tough time! 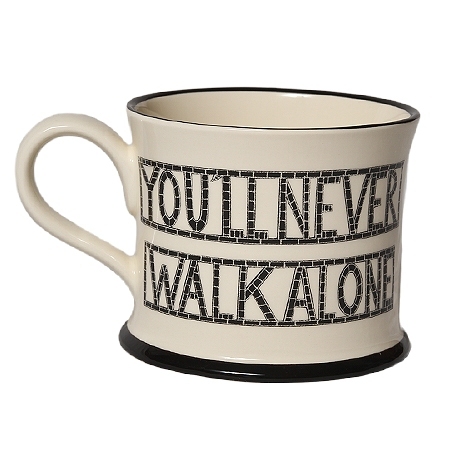 Our Moorland Pottery Mug sums up the Anfield spirit and is a great keepsake to remind you of this special day. Shop it here. 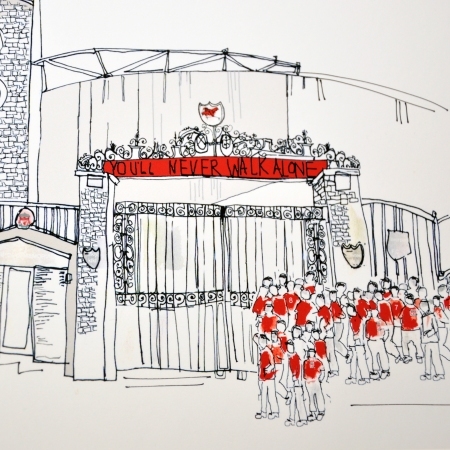 Our Freida McKitrick Anfield print is a big bestseller and a great gift for any Liverpool fan. Find it here. If you’ve been lucky enough to secure a ticket to his final match, we’re sure you’ll give Stevie the send off he deserves!